Which single dorm room is better for you? Single dorm rooms are the best of two worlds: the privacy of a single-occupant room, paired with the social atmosphere of a dorm where you’ll be living around other University of Florida students. At Ivy House and Windsor Hall, both freshmen and upperclassmen are eligible for single dorms, and they are guaranteed to be assigned to a single dorm room when they reserve (while available; once the singles are full, you can no longer reserve for Fall). Each single room at Windsor has an attached bathroom and kitchenette inside the room (no communal bathrooms). There are 3 sizes: the joint bath single, private bath single, and xl single. Windsor Hall offers the best single dorms for University of Florida students: they’re the largest and nicest. There are both female and male single rooms. 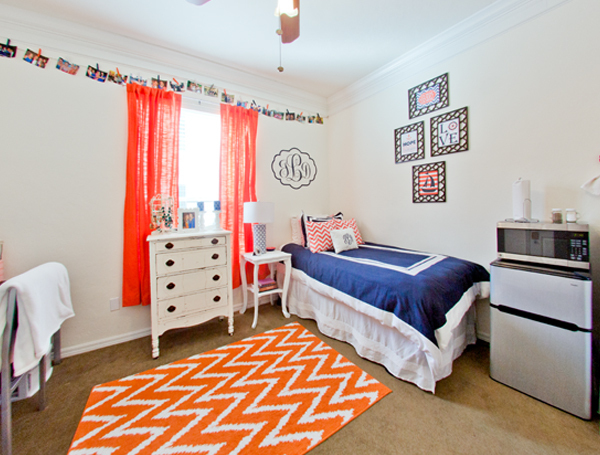 University of Florida students who choose an Ivy House single room will be living in the CLOSEST single to Sorority Row. Single rooms share a bathroom with neighboring rooms, which can be a great way to meet other students. Though smaller than the Windsor singles, the Ivy rooms are very luxurious. Ivy House is an all-female residence hall. Single suites are the first to go. Coming to town to take a University of Florida campus tour soon? Schedule a tour while you’re in town. Tours are available Monday – Saturday, by appointment. Click here to schedule a tour. You can reserve your room after your tour. Not coming to Gainesvillein the next 10 days? Most University of Florida students reserve their housing via email. It's an easy process which can secure a room. To reserve for Fall, click here and enter your info. The luxury dorm housing office will email you paperwork and instructions. Remember that your room isn't reserved until we receive the signed forms. Several room styles are already full, and the remaining rooms are filling quickl). Call 352-376-6223, or email us. We're here to help! Check out photos, tours, and more.